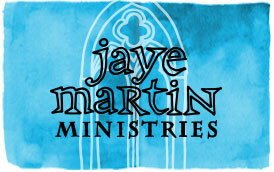 Jaye and the Jaye Martin Ministries conference team provide training for an array of different topics. These topics are built on the foundation of Christ and God's Word. Below, you can review these training topics. If you are interested in consulting, speaking or training, then use the links provided to lead you to a form to fill out and submit. We are happy to assist you, your church or your church ministry team. If you would like to be consulted by Jaye Martin on a personal level, then go to the Personal Consulting Request Form for more information and submit a request. Personal Consulting is available to those in ministry who desire guidance in action steps to take to develop their individual and ministry purpose and goals. This guidance is based on prayer and data gathered from the person based on their spiritual gifts, along with their answers to questions and their life work passions. There are five options ("levels") of ways Jaye Martin Ministries is prepared to consult a church or ministry. The first two levels range from surveying people in the church to conducting a community and demographic study. The third level includes a church or ministry analysis. The fourth and fifth levels are about developing a spiritual plan and training leadership. All are based on the foundation of the Word of God and prayer. 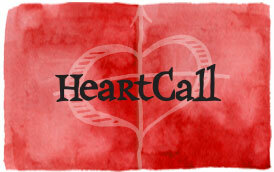 If you would like to learn more about this or to fill out a request, then click here. Jaye's passion for sharing Christ with others has led her to desire to help others do the same. Her experience includes organizing evangelism, women's ministry and prayer at a metro mega-church, leading women's evangelism on a national level and instructing women at one of the largest seminaries in the world. Her wisdom and experience is seen as she speaks and leads training worskshops at numerous conferences and churches. If you would like to request her to speak at an event or retreat, then please fill out this Speaking Request Form. Each request is prayed over and carefullly considered. We regret that we are unable to fulfill every request. You may also use this form to request any JMM speaker. Jaye Martin Ministries would be honored to help you build your team. Choose options centered on leadership skills, leading believers to share Christ or mobilizing members to serve through spiritual gifts. If you would like to review these training blocks in more detail, then you can view the form here. 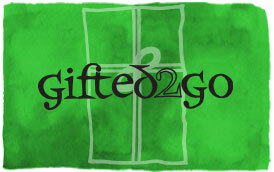 Leader of Leaders was originally created through the HeartCall ministry, but now training is available in Gifted2Go as well. The focus of the training is to equip leaders in churches in how to teach others to share Christ and use their spiritual gifts in the body of Christ. A Leader of Leaders training is a great way to learn while getting to know other leaders who are interested in reaching people for Christ. There are times in the workshop for lecture, discusssion and small groups. Let us know which area you would like best on the Leader of Leaders form. If you have any questions, then you can email us here. Our state conventions often ask about partnering with JMM to do training for their leadership. The Leader of Leaders training is designed to equip leaders in sharing Christ and mobilizing believers through HeartCall and Gifted2Go. The minimum time for each area is 3 hours. These two areas are joined together to form our Leader of Leaders training so there is a 6 hour minimum required to equip leadership. These leaders are then about to serve as trainers in their state, associations and churches. We have found that the state guy like our brief form. We can get back to you with more information.